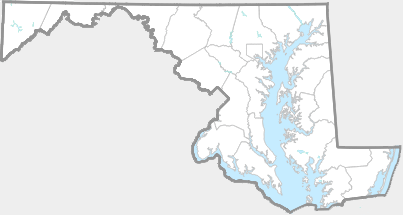 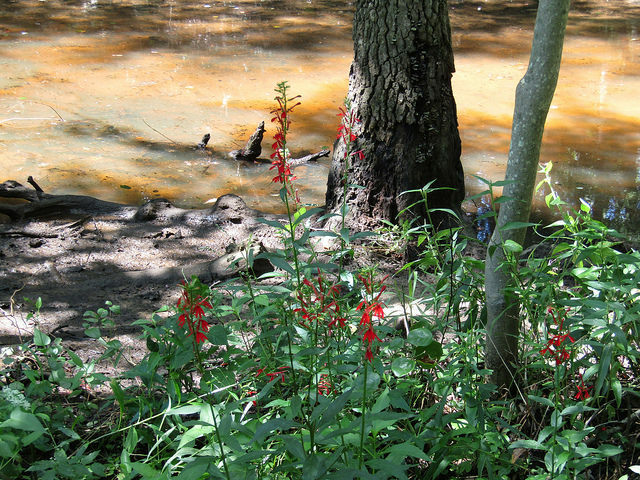 Common in the appropriate habitat across the state. 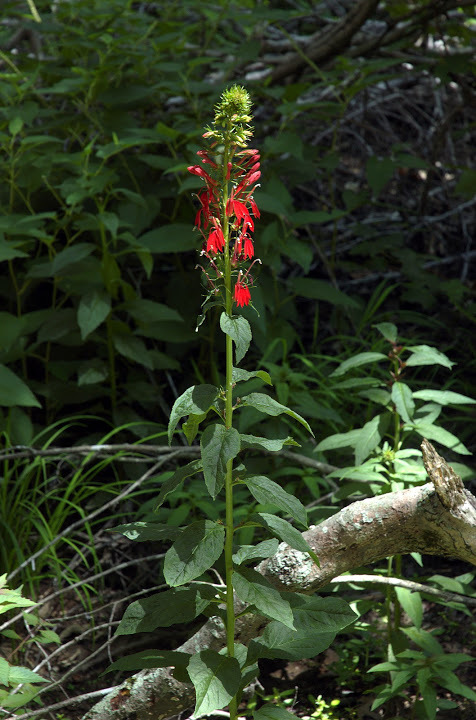 Blooming typically occurs from the middle of August through September. 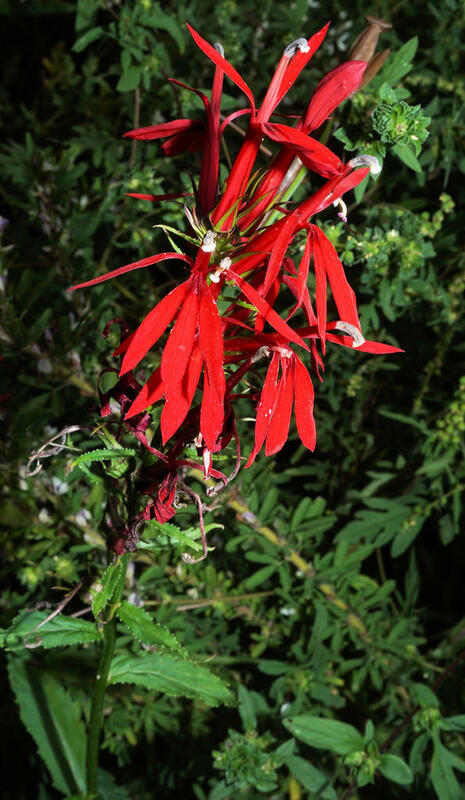 The bright red flowers are distinctive and diagnostic. 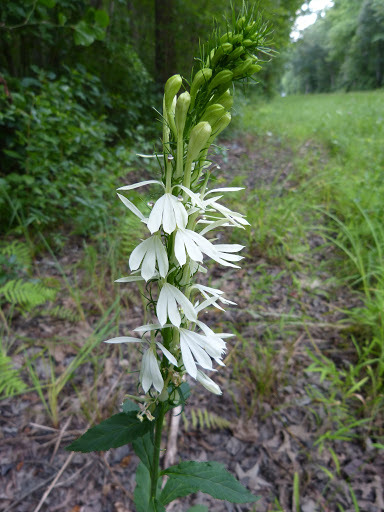 White flowered specimens are rarely encountered. 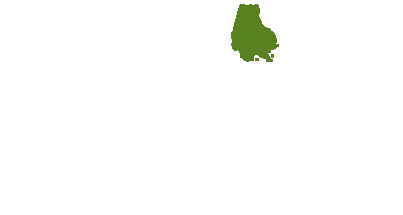 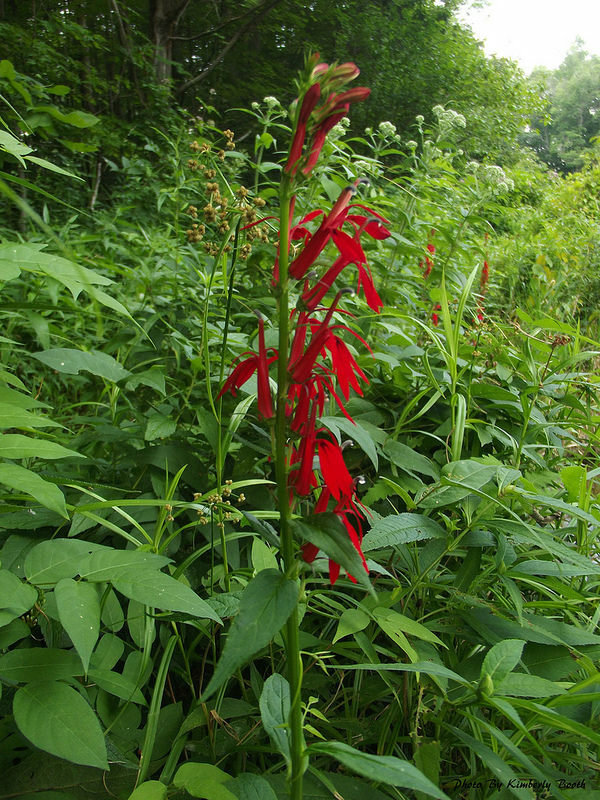 Look for these plants along wet ditch edges and forested stream and creek banks. 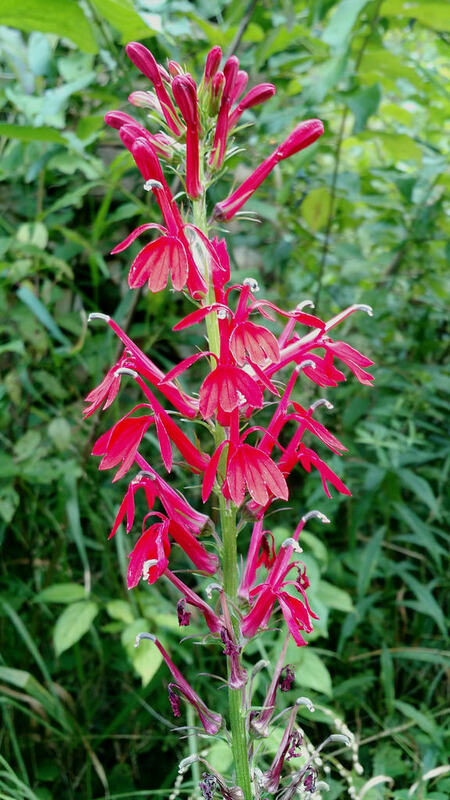 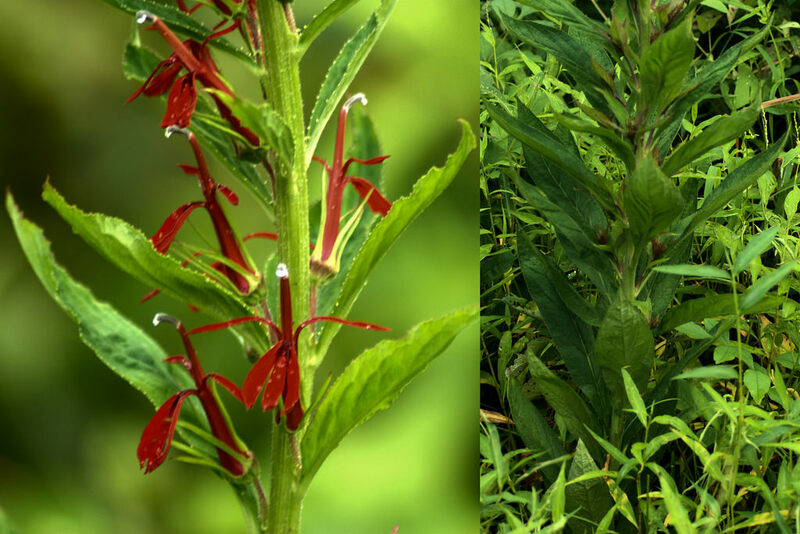 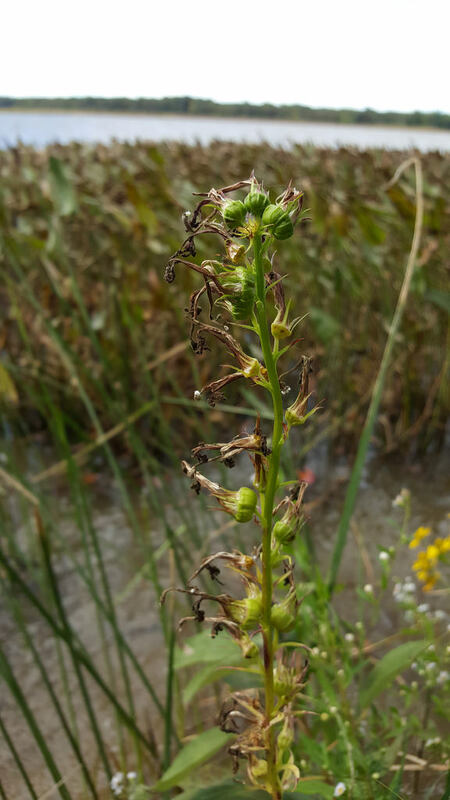 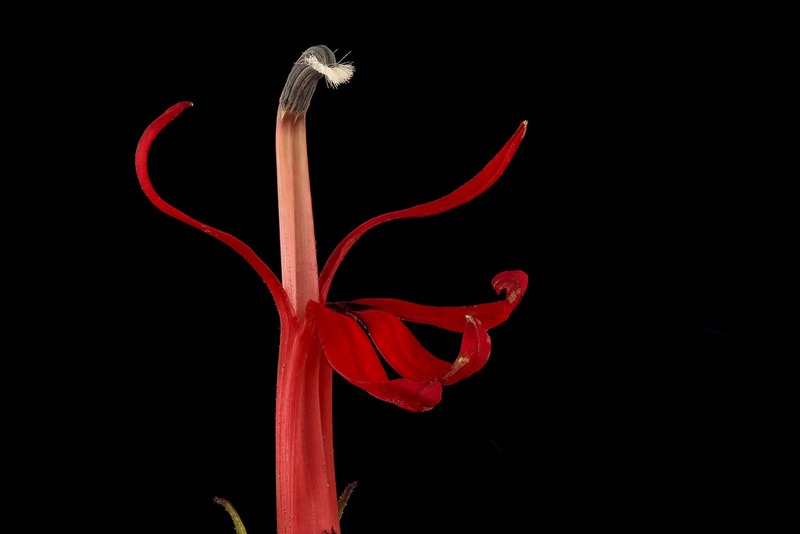 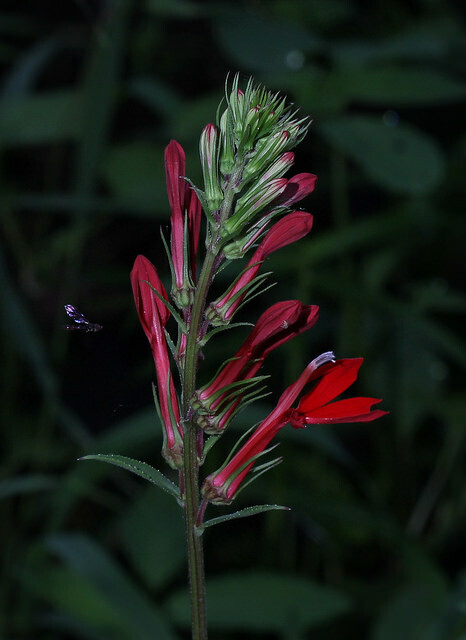 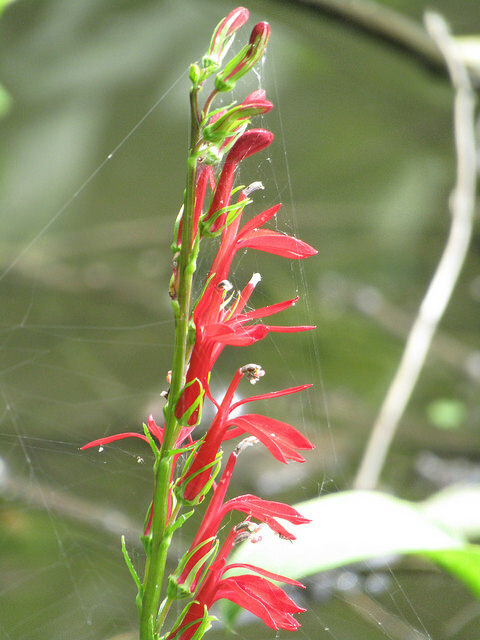 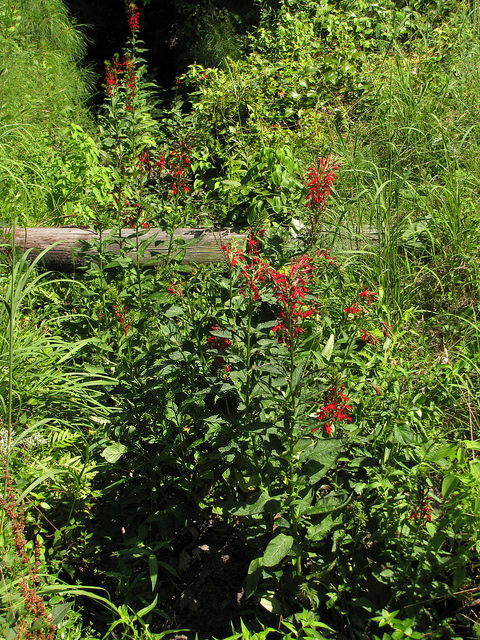 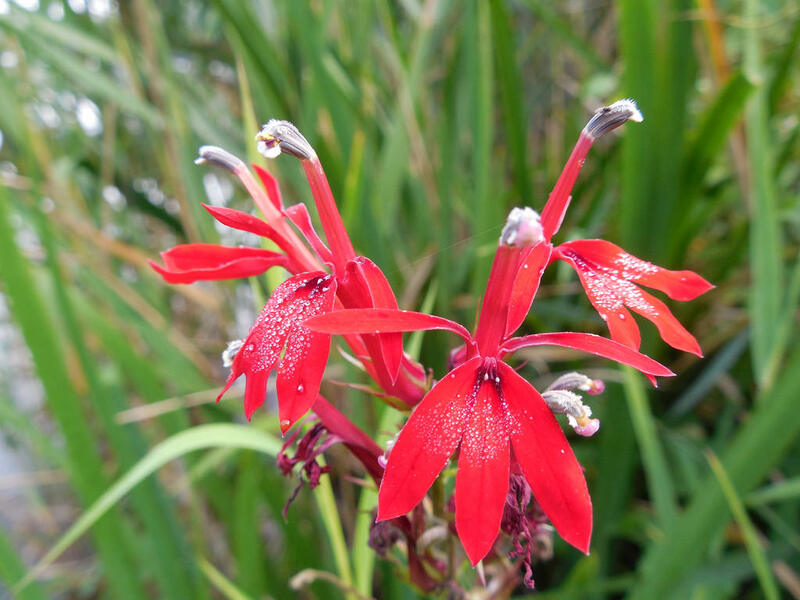 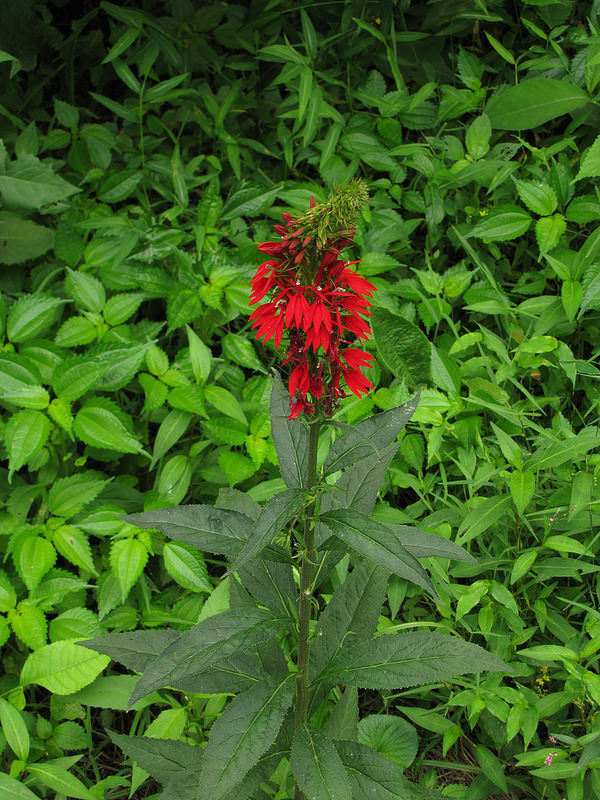 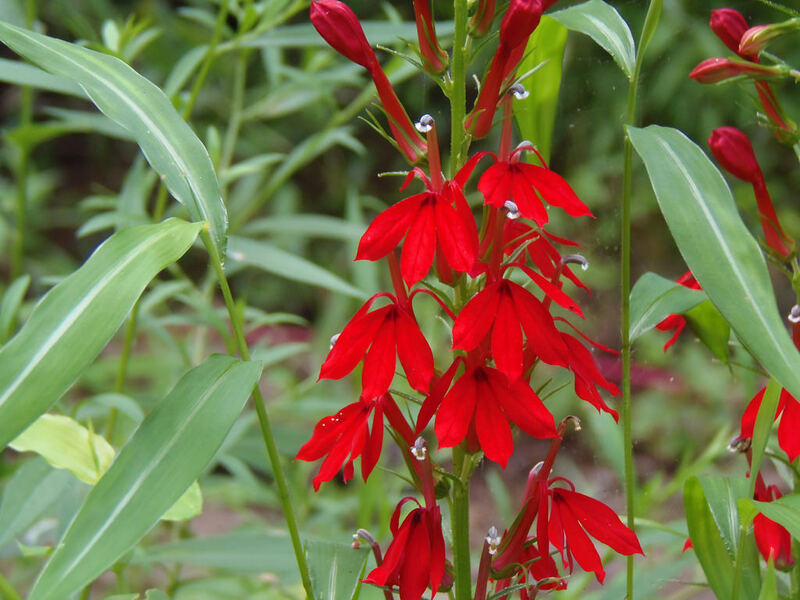 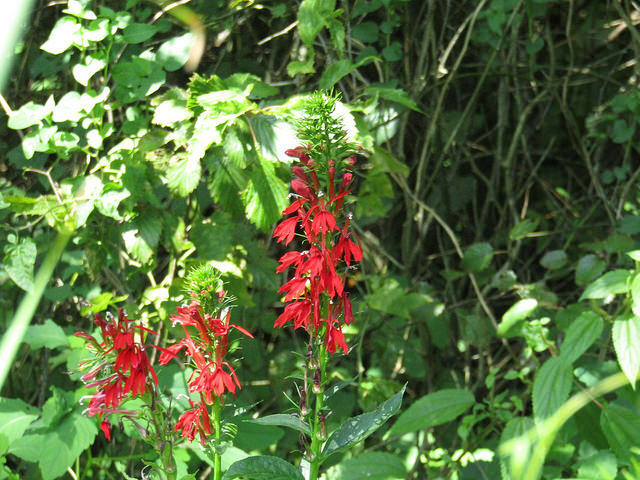 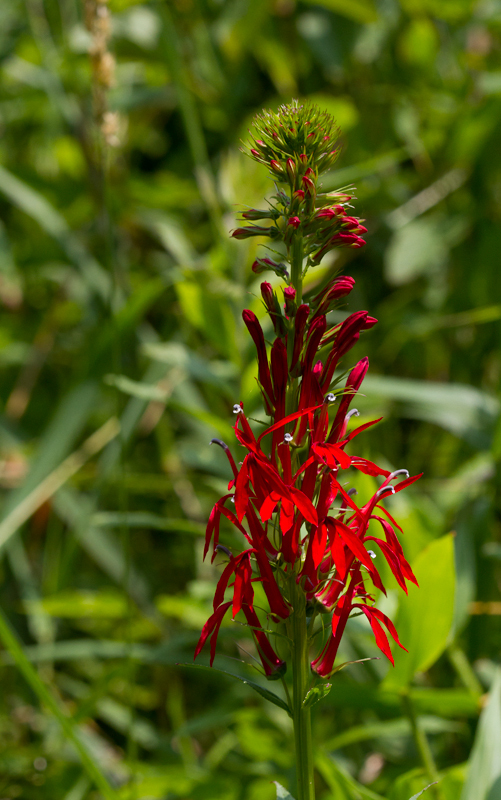 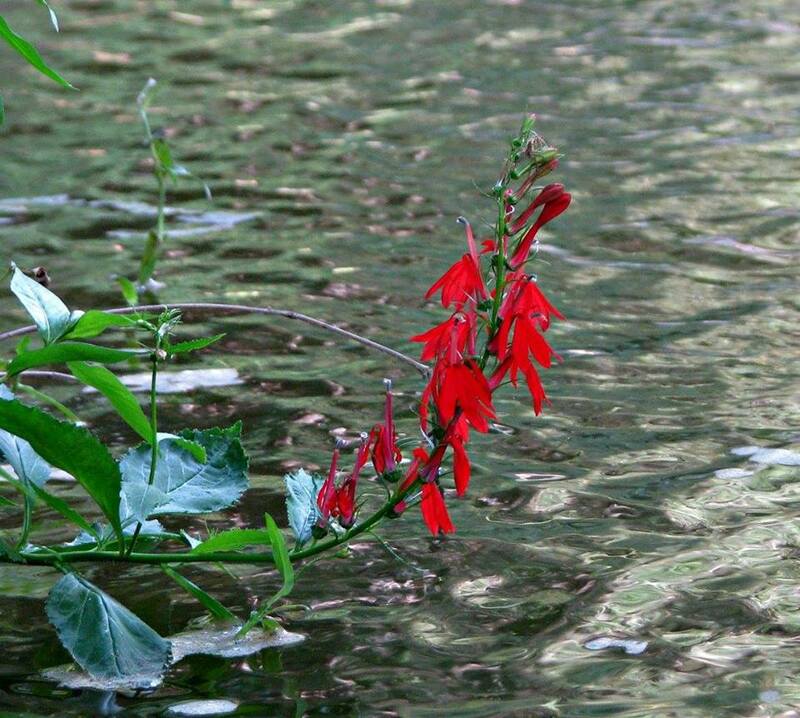 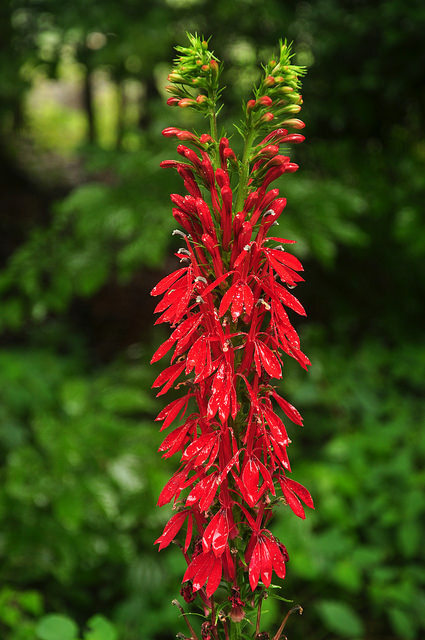 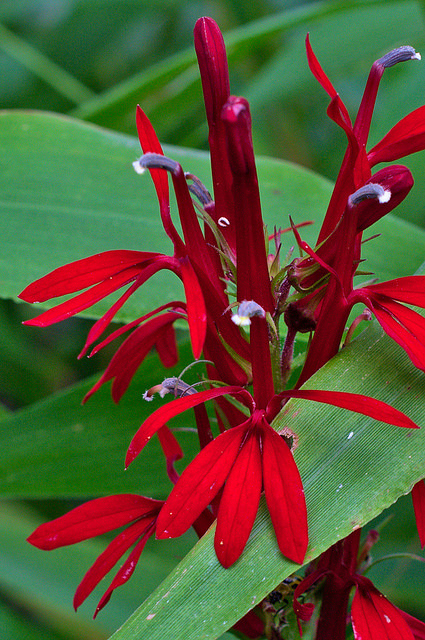 On the Eastern Shore Cardinal Flower has been observed blooming in open freshwater marshes. 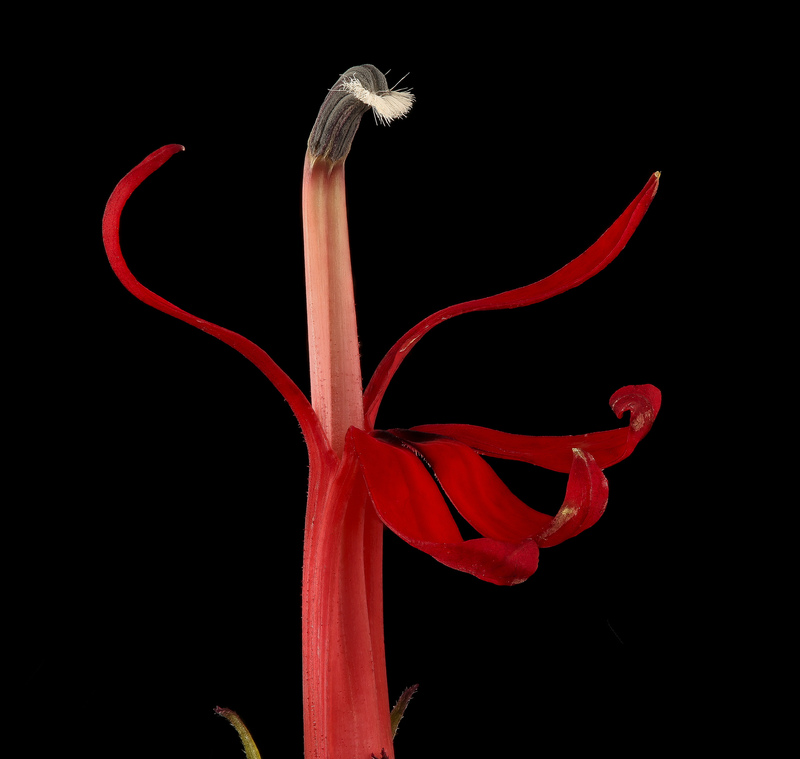 The long corollas of the inflorescence make it difficult for most insects to use the flowers as a nectar source. 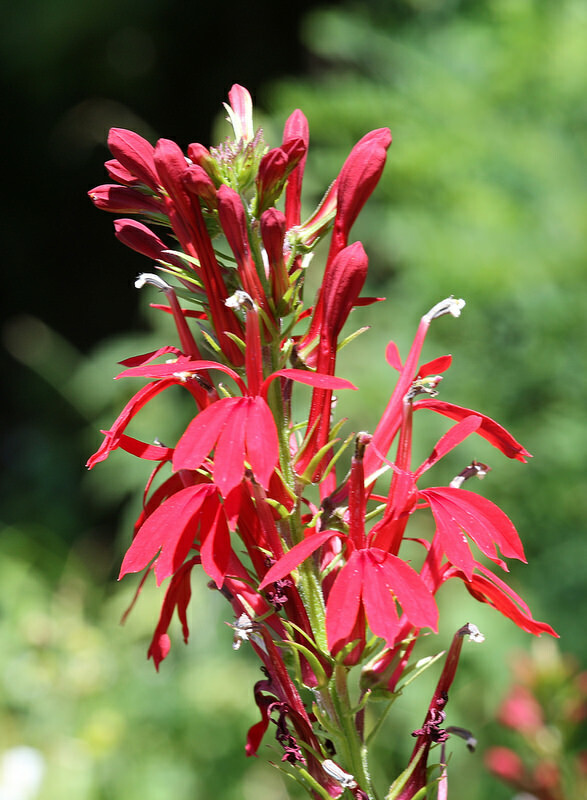 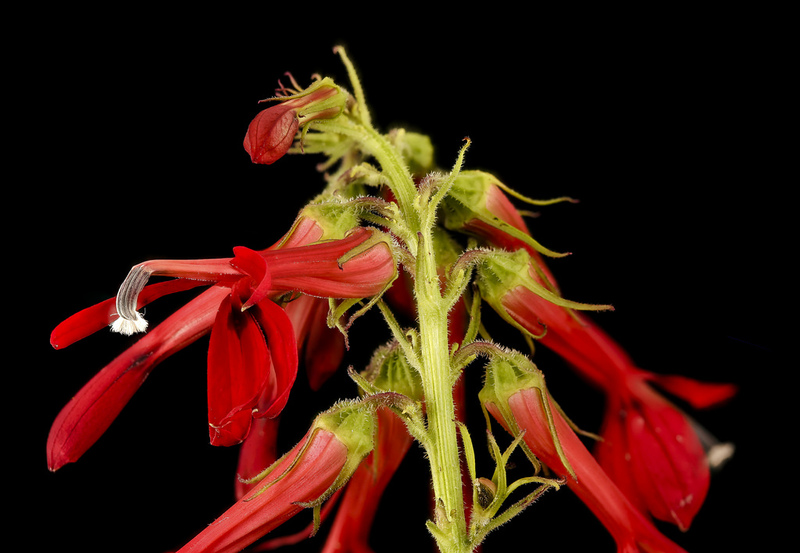 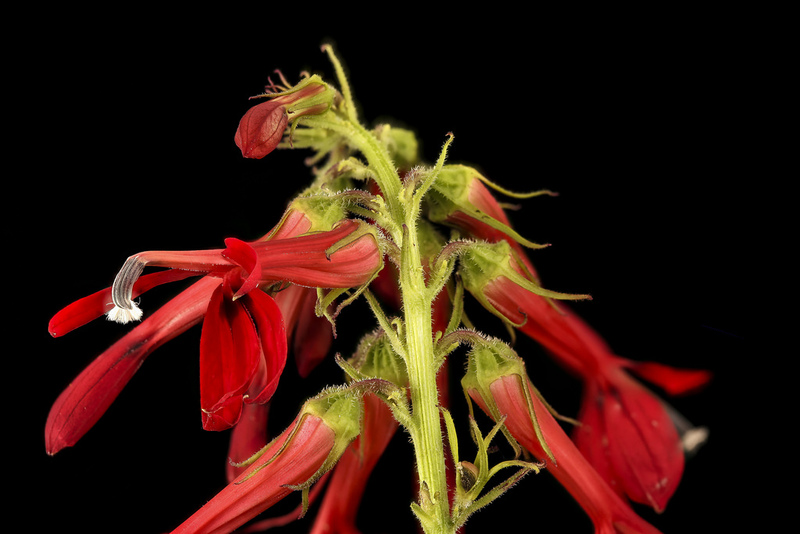 Ruby-throated Hummingbirds actively use Cardinal Flower as a nectar source as do our large swallowtail butterfly species. 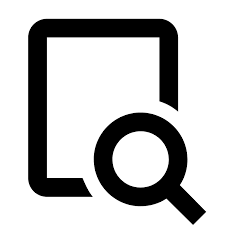 There are 286 records in the project database.